Two former Cardiff Devils players go head-to-head during Saturday’s Elite League Predictorbet Play-Off Semi-Finals in Nottingham. Andrew Lord takes his reigning champions Devils to the Motorpoint Arena, while ex-Devils defenceman and Great Britain coach Rick Strachan is win charge of Nottingham Panthers. The rivals clash in the second semi-final, which follows the Belfast Giants v Guildford Flames match. Winnipeg-born Strachan, now aged 56, played for Devils during 2000-01 alongside Derek Herlofsky, Stevie Lyle, Kip Noble, Mike Ware, Travis Brigley, Denis Chasse, Ian Matulik, Steve Moria, Steve Thornton and Vezio Sacratini. Now, though, he is plotting the downfall of Devils, having steered Panthers to third place in Elite League after taking over coaching duties from Rich Chernomaz in January. 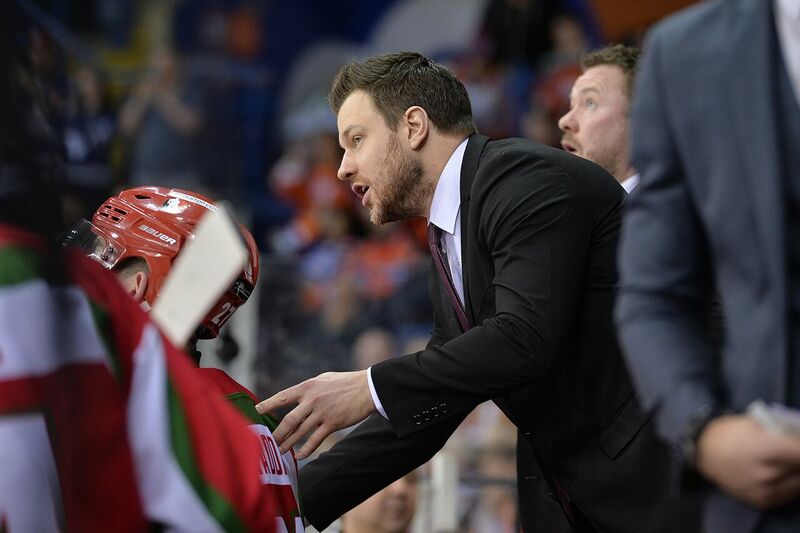 “The biggest thing for me was to get these guys believing they could win again,” says Strachan, whose Nottingham team defeated Fife Flyers 6-3 on aggregate in their quarter-final. “Fife battled, scratched and clawed. We played the way we wanted to play, gave them nothing and found a way to win. Third-placed Panthers finished 22 points behind top two Belfast and Cardiff in Elite League, but former Nashville Predators NHL forward Kevin Henderson says hime advantage will be massive against Devils. “The Nottingham crowd were amazing against Fife on Sunday and we fed off them all night,” said Henderson, who was voted Panthers’ player player of the season. “We’ve locked down our systems and that’s been huge for our team. It’s going to be an amazing atmosphere over the finals weekend and we have home advantage. Devils will be followed to Nottingham by hundreds of supporters and are two games away from retaining their play-offs championship. League title winners Belfast, who finished level on points with Devils and were crowned champions on a count back of wins, are going for a clean sweep of domestic trophies, having also won the Challenge Cup and Erhardt Conference.